I am a freelance writer inspired by science’s quest to find answers – what does it mean to be human and how can we do better – to explore and communicate new discoveries, positive solutions, remarkable people, and honest science. My writing is grounded in seemingly disparate but interrelated qualifications and experience spanning health, psychology, nutrition, dietetics, scientific research, multimedia and parenting. It is unlikely that I would have pursued this combination of work and studies if I’d mapped my career in advance. But they evolved to equip me for writing about a broad and sometimes unexpectedly interrelated range of topics, enriched by a current Graduate Certificate in Science Writing with Johns Hopkins University. After pulling off an Honours Psychology degree (yes it was quite a feat given my prior track record) around the dawn of this century, I embarked on a PhD, followed by more than ten years’ research into emotional intelligence, links between mental health and nutrition, health benefits of the traditional Mediterranean diet, and how parents shape children’s diets. During my research career I graduated from a Master of Dietetics, and practised clinically part time. I am also a devoted mum, perhaps one of the most transformative and rewarding learning curves of all. Fun fact: When I was studying I won a double movie pass for Divine Secrets of the Ya Ya Sisterhood. 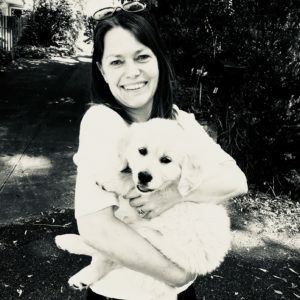 The competition asked, “What is the craziest thing that you or a woman you know has ever done?” My response: in the late 1980s I hitchhiked across Australia – from Lismore, on the eastern coast of NSW, to Perth – with two dogs. (It took four days thanks to truck drivers.) My husband’s response was a close second. He said: “married me”. Fast-forwarding back to the 2000s, I have published around 60 peer-reviewed scientific papers and book chapters in academic journals. Now at large, I am a regular contributor to Cosmos Magazine (nominated as one of the top 10 best science websites in 2018), Forbes Science, Health Agenda, and The QUO. My work has also been published by Ensia, The Sydney Morning Herald, The Age, The Washington Post, The New York Times (Australia Diary), The New Daily, UniSA Enterprise Magazine, The Conversation, and Massive Science. I write for STEM Matters, produce a regular commissioned healthy aging blog, and am editor for Warringal Publications (Nutridate; Health & PE), targeted at high school students. 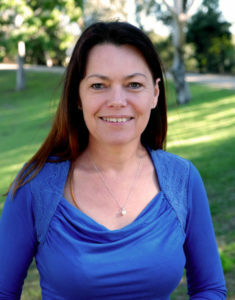 In 2017 I completed an intensive Science in the Media course through Australian National University, and am member of Australian Science Communicators, the Australasian Medical Writers Association, and the World Federation of Science Journalists. For my online Graduate Certificate in Science Writing with Johns Hopkins University, I have completed the courses Techniques of Science-Medical Writing, Science-Medical Writing Workshop, The Literature of Science, and Science Narratives Workshop, all with Grade A. My final course, to be completed April this year, is Science Profiles Workshop – Writing about People. My writing interests include health, food and nutrition, parenting, child and adult development, animal welfare, sustainability and biodiversity, and more generally all things related to us fascinating and complex human beings and the wondrous planet we are blessed to inhabit. I welcome writing requests at natalie.parletta@gmail.com.